Rogue software is sometimes known as fake software or fake anti-malware and is a program that is well designed to mimic software programs. The software is sold online and they have names such as antivirus 2008, driveclean and others. If you get conned by this scam, you will almost certainly wind up with a computer that starts to run slowly and even worse, you may have inadvertently exposed yourself to identity theft. Rogue software effects include system slowdown with no apparent cause and frequent random error messages. As cyber criminals become more sophisticated and more transactions migrate online, the number of threats to people and businesses will continue to grow, and with most types of crime, vigilance is one of the keys to prevention. Prepare yourself and your business by taking time to secure your systems and make cyber security a priority through a managed IT services provider. There is a new method of attacking called drive-by-downloading where a web application that has been compromised is instructed through the web browser to install malicious software found within the hacker’s server. The computer user may not notice these activities. The malicious software is usually a Trojan horse that controls the systems of the victim’s computer. Usually this kind of attack is in the form of a pop up window that features an optional button for you to cancel the operation. This specific button may be the trigger for the malicious software to be downloaded. Again, this activity may eventually go unnoticed by the innocent computer user. That is why it is very necessary to consider trained personnel conducting regular check on your computer systems. A denial-of-service attack attempts to prevent legitimate users from accessing information or services. 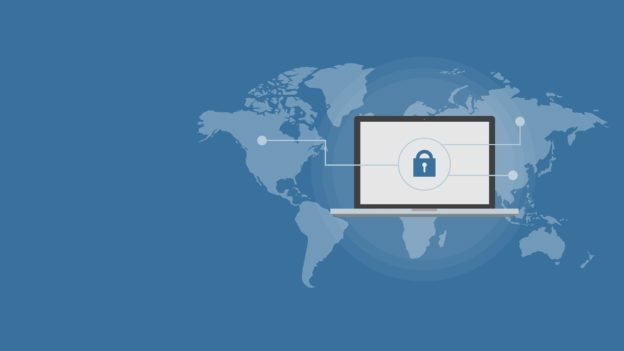 By targeting your computer and its network connection, or the computers and network of the sites you are trying to use, an attacker may be able to prevent you from accessing email, websites, online accounts, banking information or other services that rely on the affected computer. Denial-of-service attack can enable an intruder to access such account and making transactions. Thus, it is very crucial to have a good cyber security backup. Malvertising is a process of installing unwanted or outright malicious software on your personal computer. Malvertising involves injecting malicious advertisements into legitimate online advertising networks. Because advertising content can be inserted into high-profile and reputable websites, malvertising provides great opportunity to push their attacks to web users who might not otherwise see the ads, due to firewalls, and more safety precautions. Malvertising can easily spread across a large number of legitimate websites unknowingly. The most interesting and unique feature of malvertising is that it doesn’t require any user action to compromise the system. Some feature of the malvertising disables your task manager so you can’t even turn it off. It is a serious threat. Phishing is a relatively new form of online fraud that focuses on fooling the victim into providing financial or personal information to a website that bears a significant resemblance to a true online brand. The victim provides information in the imposter site, which then relays the information to the fraudster. That is why most companies strongly recommend that users should not make sensitive information available. Phishing can bring catastrophe to company’s ability to function in the marketplace due to failed information. If employees are not protected, the company could be held accountable for not putting protections in place to prevent fraud. It is therefore important to employ managed IT services provider to take care of sensitive information. Password attack is the classic way to gain access to a computer system. The growth of the internet has created unlimited opportunity for these intruders to steal secrets, abscond with credit card information and making a lot of mischiefs. Password hackers have several approaches of getting password but they all have the goal of gaining power and control of a computer system. Many of their intermediate steps are therefore the same. Some common password attack methods include the use of Trojan horse; a common tool of computer intruders. Generally, a Trojan horse is a computer program that purports to do one thing but actually takes other unseen and malicious actions behind the scenes. Malware is an often used to generally describe malicious programs that identity thieves, hackers and internet con-men use to control your computer. Malware includes all malicious programs ranging from annoying adware to the more dangerous spyware, viruses that can open up backdoors on your computer, allowing unknown third parties to control your computer and steal identity information and host illegal content on the internet. Many malware applications are actually marketed as anti-malware tools, and these are actually professional looking and highly deceptive websites that appear to offer legitimate products. Now, it is good to establish responsible security plan for the entire organization and investing on network security solution to external security threats. Data security is a means of ensuring that database of any institution or organization does not get into wrong hands. The data must be protected in such a way that internal staff with criminally minded cannot get access to the database. Hackers always try their best to get access to a database by trying to break through an organizations network firewalls or gaining physical access to the data. Database can be corrupted by viruses or can even crash which an administrators have to guard against. Managed IT services provider can help protect organization database. In conclusion, it is important to have a trained IT representative at all times. In most organizations, the performance of individual employees is a major factor determinant of organizational success.